Imagine you need to know if various fruits is in your array of fruits, so first lets get an array of fruits. "tomato", //yes, tomato is a fruit. So according to the PHP Docs you would check if the fruit “tomato” exists in your array with the in_array() function. We flip the array with the array_flip() function so the values become the keys and the keys become the values. Then we test the existence of tomato with the isset() function checking the existence of the key “tomato”. This is faster, and I have the benchmarks (or something like that) to prove it! The benchmark is ultra simple. We’re using the microtime() function here. We could’ve used more advanced benchmark utilities, but this method is more than enough to prove the point. Yes! You read that correct! 28 times as fast! WOAH right? 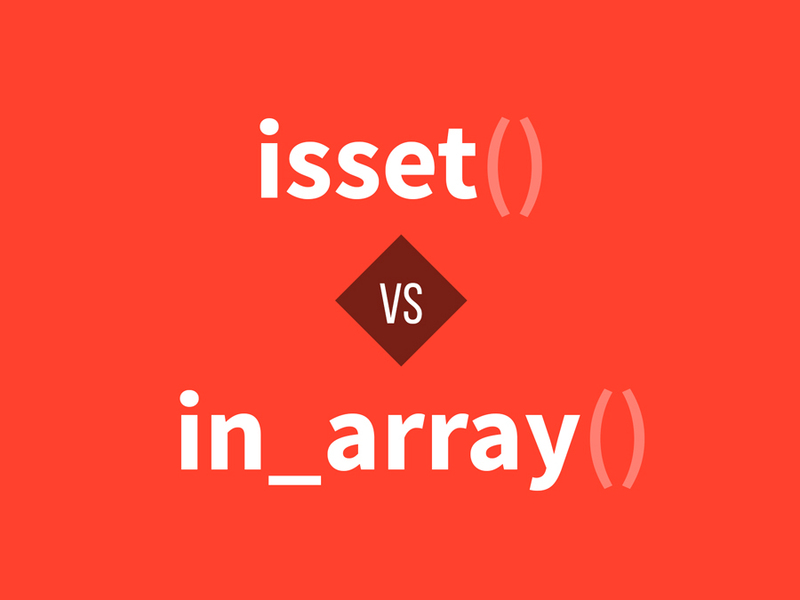 Well, the first method uses the in_array() function, which behind the scenes goes through the whole array one element at a time and tries to match the values. So the time required is directly proportional to the position of the element and the size of the array. On the other hand, when we search for them with keys, it does not need to go through every element, as keys are hashed. You could imagine the keys being numeric and sorted behind the scenes. Every key has a unique numeric value and every time we give the same key the same numeric value is produced, which can be then used to jump to it’s location almost instantly! Well, it works really fast, thats nice. But you cannot test for existence of objects and array using this method. Quite simply because PHP does not like the idea of objects and arrays being keys. Thats not to say it can’t be done, maybe if the Objects have a __toString() method that returns unique strings those could be used to build the hashes, but that is another topic. Also it requires a little more memory as now you have a hashtable along with the original array. You are not making the same operation in your cycle..array flipping for isset check should be done in first for. You called array_flip() just 1 time and in_array() every time but what will be the result if you call array_flip() every time ?? array_flip() and in_array() does not even do anything similar so logically it would make no sense to flip an array on every iteration. I might be wrong though, please let me know with code examples.